Virtual Families 2 available for Android! San Francisco, Calif. �Last Day of Work (LDW) releases Virtual Families for Android. Check it out on Google Play here. More couches for your little peeps! San Francisco, Calif. �Last Day of Work (LDW) releases a new update for Virtual Families 2. More furniture to be placed in the game, including a full gothic set and a full set of modern furniture. San Francisco, Calif. — Last Day of Work (LDW) releases Virtual Families 2 for Mac and PC. Download a free trial here. 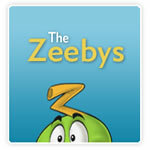 Pets for your virtual pets! San Francisco, Calif. — Last Day of Work (LDW), unleashes pets in Virtual Families 2. 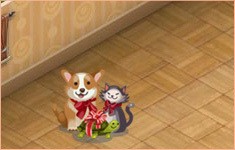 Adopt a little cat or dog or little flurry companion for your virtual people! Check out the pets here. San Francisco, Calif. — Last Day of Work (LDW), releases Virtual Families 2: Our Dream House for iPhone and iPad devices. Play free! You can download the game from here. The game will be soon available also for Desktop. 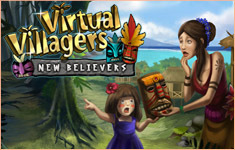 San Francisco, Calif. — Last Day of Work (LDW), releases Virtual Villagers 5: New Believers for PC and Mac. Download now a free trial! San Francisco, Calif. — Last Day of Work (LDW), releases Virtual Families for the Android Devices. San Francisco, Calif. — Last Day of Work (LDW), is proud to announce that Plant Tycoon is now available for your Apple Devices. The game has been designed for both iPhone & iPad. San Francisco, Calif. — Last Day of Work (LDW), is proud to announce that Virtual Villagers 2 is now available for the iPad. The Last Day of Work (LDW) website has received a major facelift! The Web site was redesigned from scratch by local interactive designer, George Hu, founder of Particle 1 Media. George breathed new life into the design, while perfectly preserving the feel of the original design that had represented LDW for years. 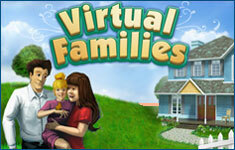 Virtual Families has been named among the best in family-friendly media, products and services. In particular, it received the Silver Mom's Choice Award in the category of Video, Computer and Online Games. To learn more about the Mom's Choice Awards, visit www.MomsChoiceAwards.com. San Francisco, Calif. — Last Day of Work (LDW), is proud to announce that Virtual Villagers 3 is now available for iPhone and iPod touch. San Francisco, Calif. — Last Day of Work (LDW), is proud to announce that Virtual Families is now available for iPhone and iPod touch. Last Day of Work (LDW), is proud to announce that Virtual Villagers 2 is now available for iPhone and iPod touch. 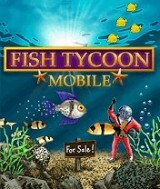 Last Day of Work (LDW), is proud to announce that Fish Tycoon is now available for iPhone and iPod touch. Plant Tycoon is awarded with a Silver Award from the Parents' Choice Foundation! The Parents' Choice Awards program received many strong entries this season; Plant Tycoon is among the small percentage selected to receive a Parents' Choice Award. Plant Tycoon is currently available at Best Buy and is expected to be available at other major retailers very soon. Plant Tycoon is awarded with an iParenting Media Award for the 2008 Best Products Call!!! Thousands of products were submitted to the 2008 Best Products Call for Entries, and all were put through the only internationally certified product evaluation system in the parenting and awards industry. (The iParenting Media Awards program is ISO 9001:2000 certified.) Plant Tycoon was evaluated by three outside reviewers consisting of a group facility, such as a licensed childcare facility/school, an expert, and a parent. You can now get Fish Tycoon for Nintendo DS at selected stores, including Amazon, EBGames, Walmart. 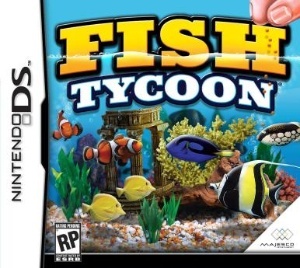 BRISTOL, UK, June 12, 2007 – Majesco Entertainment announced that Fish Tycoon, the fish-breeding simulation game for PC, is coming to the Nintendo DS. New Virtual Villagers 2 Contest for Father's Day! We are awarding another brand new iPod Nano 2 GB to the winner of our latest contest. This new contest has a Father’s Day theme and is taking place on our online forums. To enter, just make a screen shot from your Virtual Villagers: The Lost Children game, add a caption that fits with our Father’s Day theme, and post it in our contest thread on the forums. Check out our online forums for additional contest information and rules! Fish Tycoon is available now also for your mobile phones! Check it out at At&t/Sprint. 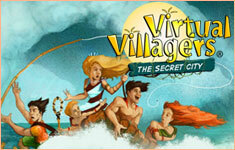 Virtual Villagers: A New Home is available at the online store of Target. Usually ships within 1-2 business days. Virtual Villagers 2 gets Gold Award from GameTunnel! The winners will be posted here on our Web site at the end of April! More information on the contest over at our forums. If you always wondered what was through that cave in "Virtual Villagers: A New Home," you'll be given a satisfactory answer. If you haven't played the first one, go ahead and play it, then come back to "Virtual Villagers 2: The Lost Children." You need to play the first to understand how the story starts out. Chances are, if you loved the first, you don't need me to tell you to go download it; you already have. No matter what type of gamer you are, "Virtual Villagers 2" is worth giving a try. 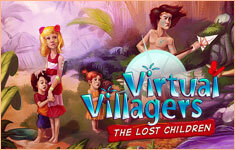 While not as suspenseful as the hit television show Lost, the computer game Virtual Villagers 2: The Lost Children parallels Lost's theme of focusing on the lives of people stranded on a remote island. Virtual Villagers 2: The Lost Children is a sequel to Virtual Villagers: A New Home, last year's popular downloadable game developed by Last Day of Work (www.ldw.com). The Lost Children starts where A New Home left off, with two villagers exploring a passage through a cave. The villagers arrive at another part of the island and discover a group of five children struggling to survive. The Windows version is available in selected Walmart stores throughout the USA. Check out the Walmart that is closest to you. 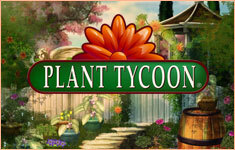 We have officially started full-time development of Plant Tycoon for Windows and Mac. We are going to improve and expand the original game for Palm OS and Pocket PC. Virtual Villagers: A New Home wins Zeeby for Best Strategy/Sim of 2006! The video and the pictures of the awards will be posted soon! Virtual Villagers wins Best Sim of 2006 at GameTunnel! Between the real-time play of the game and the soothing music that so well captures the feel of relaxing in a beautiful place, Virtual Villagers is a wonderfully crafted game that has won over many people and captured our 2006 Sim Game of the Year award. Virtual Villagers Echtzeit-Survival im 3D-Inselparadies! Einige �berlebende eines Vulkanausbruchs stranden auf einer einsamen Insel. Sie zu erkunden, Essen zu finden und zugleich ein neues Dorf zu errichten, ist das erkl�rte Ziel der in Echtzeit ablaufenden Gute-Laune-Aufbausimulation "Virtual Villagers". Mit "Kapitel 1: Eine neue Heimat" ist Teil 1 der spannenden PC-Fortsetzungsgeschichte erschienen. One of the nicest things about running a tiny independent game studio these days is that, more and more, people work remotely. My wife, Carla, and I, who make up the core of the team, are no exception. While we are based in San Francisco, Carla is originally from Italy, and so we migrate over to the 'old country' every year for a couple of months in the fall. Working from here is not much different in terms of communication, since almost everyone we work with is part of our 'virtual office' anyway, and we all keep in touch using instant messenger, email and phone. One thing, however, changes a lot--our environment. Read Part 2 of the diary. Virtual Villagers: A New Home is currently available at Best Buy and is expected to be available at other major retailers soon. Ever wonder what it would be like to start from scratch? I mean, wipe your slate clean of work, chores, housing, clothes, food, family and friends? Well, developers Last Day of Work managed to create a real-time simulator that legitimately lets players decide the fate of a small group of storm-wrecked travelers. Virtual Villagers is a resource management, strategic livelihood game that empowers players to feed, house, and develop the likeliness of seven villagers. More often than not, one of the true indicators of a good game is whether you start again once you�ve completed it. Civilization, one of the all time greats, is a case in point. Add to that list Virtual Villagers. By no means in the same league as Civilization, Virtual Villagers is all the same quite addictive and I have already started my second game. 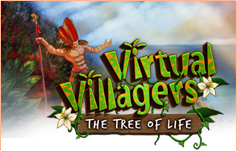 Virtual Villagers gets an E10+ rating from ESRB. EVERYONE 10+ Titles rated E10+ (Everyone 10 and older) have content that may be suitable for ages 10 and older. Titles in this category may contain more cartoon, fantasy or mild violence, mild language and/or minimal suggestive themes. Well, I have been invited to share some of the experiences and dramas of a tiny independent game developer here on Gamezebo. I've often found that our wonderful community and fans find it very interesting to hear about some of the behind-the-scenes decisions and craziness that can be involved in creating a game from beginning to end, and I'm all too happy to share the experience. We have updated our previews page and posted a sneak peek of Chapter 2 of Virtual Villagers. This is a rough drawing from our artist, Michael Grills. Over at our forums there is a second version of this sketch and some explanations. We have also updated our development progress, which is currently at 65%. We had our first field trip to our offices. Selected enginering students from the University of Genova, Italy were visiting different companies in the Bay Area. We were very happy about sharing our indie experience with these motivated students and explaining the casual game industry to them. We wish great success to all of them. "By playing Virtual Villagers, kids will think about life in terms of what is necessary to survive. They will learn that people need shelter, food, healing and the ability to reproduce. And to better their lot, they need to be creative and scientific. It's a perspective that many young people may not have thought about before playing this game." We entered Virtual Villagers to the 9th Annual Independent Game Festival (IGF). The IGF was established in 1998 to encourage innovation in game development and to recognize the best independent game developers. Finalists will be announced in December 2006, and winners will be able to showcase their game during the Game Developers Conference held in San Francisco in March 2007. What games have you developed that you're especially fond of? We had a really good time making Virtual Villagers. Once the framework was in place, just coding AI and behaviors and letting the villagers loose in their little environment has been a blast. I know emergent behavior is an overused buzzword in game design, but when it works correctly it can be very entertaining for both the players and the developers. "This time around Last Day Games has a real-time game, a village simulator - a cartoon version of "Survivor," where they are stuck until they die, not just until they are voted off the island". "Wow! Really one of the most fun games I've played in some time, Virtual Villagers is the spiritual successor to last year's impressive Fish Tycoon." "...gamers in search of a unique and addictive downloadable adventure - especially those who'd like to play God for a virtual thrill - won't be disappointed with this wonderfully crafted game." SAN FRANCISCO � July 18, 2006 � How will you lead your tribe? Last Day of Work is introducing �Virtual Villagers,� a casual downloadable game for Windows and Macintosh computers that simulates a small village and allows the player to manage and guide the villagers as they live, work, mate and grow. �Virtual Villagers,� like Fish Tycoon, is unique among real-time games, in that the little villagers will continue to live, prosper, or die, even if the game is off. The game can only be suspended if set on pause. SAN JOSE , Calif. , PalmSource Mobile Summit & DevCon, May 24, 2005� Village Sim has been honored with the Palm Powered Up Award for Best Games/ Entertainment Solution by PalmSource, Inc, provider of Palm OS, at the fifth annual U.S. PalmSource Mobile Summit & DevCon. Selected from thousands of nominations (more than 150% over last year), the Powered Up Award winners were chosen by their peers, fans, PalmSource employes, and licensee partners based upon: Innovation � Popularity � Benefits � Ease of Use � Support.